Buyers usually have higher costs when it comes to purchasing a home, but sellers may have to pay a little out of pocket to be able to move from one place to another. You probably would know if you’ll be paying a real estate agent for your property sale, but what else do you need to pay for when selling your property? Read on to find out about extra costs associated with selling your property. Be aware that even if you haven’t been sent a tax bill, you’ll be on the hook for any taxes owed on the property while you’re in it. There is always a tax adjustment, and it isn’t always to the benefit of the seller. Sometimes the buyer is getting a house after taxes are paid, and so the seller will get some money back because they won’t be in the house for the rest of the year. But if you think that you can get away without paying property tax, you’d be wrong. You will have to pay taxes for the entire time you live in your home – right up until the possession date. This cost all depends on when taxes are paid, when you move and how much your taxes are. Your lawyer will make the adjustments for you, but be aware that even if you haven’t been sent a tax bill, you’ll be on the hook for any taxes owed on the property while you’re in it. And if you’re in arrears, those taxes will come out of the proceeds of the sale of your home. So if you have a mortgage, you have an agreement to have a mortgage for a certain period of time – known as the term of the mortgage. Often this term is something like 5 years, but it can vary depending on what you agreed upon. The thing is, that if you want to move before that time, the bank (or lender) could lose some money because you wouldn’t be paying that mortgage payment for as long as you agreed to. If you have an open mortgage with no term, you’ll likely have a flat fee to break the mortgage, and if you are selling right near the end of your term, you’ll probably have a small fee that isn’t worth worrying about. Also, if you’re moving to another home that you’ll own, you can often take the terms of your mortgage with you, and there may not be a penalty, but if you’re planning to rent, or leave the area entirely and want to cut your ties with the lender, they’ll probably want some money for it. Often this isn’t much more than a few hundred dollars, but in certain circumstances, it can be thousands. Be sure to check with your lender before you make any decisions. If you don’t have a survey that says everything conforms to the rules, you’ll need to shell out a few hundred bucks to get one done. Many municipalities have rules about what can be built on your property and where. 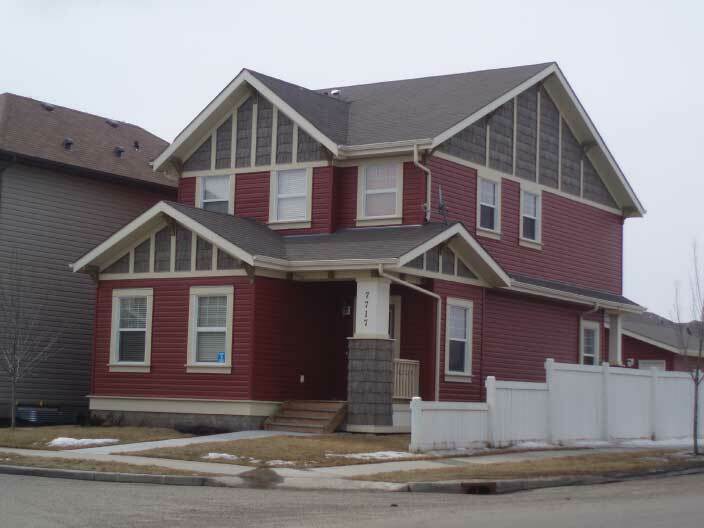 Edmonton, for example has very strict rules on building heights, fencing locations, setbacks and sizes of structures. If you have a survey that shows everything complies with the rules and you haven’t changed anything, then you’ll be ok. A real property report (RPR or survey) shows all the structures on your lot, where they are and it lets the city know if they’re in the right place or not. The municipality or county will look at those structure and either approve the report or include a letter as to why the property does not comply with the rules. However, if you don’t have an RPR ready when you sell, you’ll have to shell out a few hundred bucks to get one done. It’s not a huge deal, but check to see if you have and RPR and that it conforms, and that it’s still accurate – that is, you haven’t made any changes to what’s built on the lot since it was last surveyed. If you’ve changed anything at all – built a deck or added on to a house, or changed the garage, you’ll have to get another one done to show that everything is good with the city or town. Some people would like to avoid a real property report because of time constraints and instead opt for title insurance. It may not be the best option for a buyer because they won’t have proof that everything situated properly on the lot. The advantage to sellers is that title insurance is faster than getting an RPR. Don’t count on it being ok with the buyer or their lawyer, though, so don’t go buying title insurance before it has been accepted as an alternative to an RPR. Sometimes people do work on a home without getting a permit. For example, half of all developed basements in Edmonton have no permit. Permits are important to make sure things are built safely, and they are much harder to get after something is built than before. If you have work done that you are unsure about, you may need to get a permit for the work and have it inspected. If a buyer needs this kind of peace of mind, it may be necessary. It’s always best to have your ducks in a row before you sell, so get the work done well in advance of selling to avoid headaches. For more information about getting permits in the City of Edmonton, check out the city site for details. Again, if you’ve built something where it shouldn’t you may have to pay for your mistake. For example, if you have a fence that is on city property, the city may feel that you are stealing their land, and they’ll want some money for it. Real estate, no matter how small has a price. A few feet extra in your front yard is more than you deserve if it doesn’t belong to you. A municipality will charge you a fee and you can sometimes get an encroachment agreement for the land you’ve taken. Otherwise, you may have to move the fence, or shed or whatever it is you’ve built on city property. For more information on Encroachment agreements, check out the City of Edmonton website for details. You may need to pay out a contract if you move before the term is done. Be sure to check with your service providers to find out. Contracts are common when it comes to real estate. You expect to stay somewhere for years, so you might sign something with the assumption that you’ll need it for some time. Some people have a utility contract or an alarm contract that have terms longer than they might own the property. You may need to pay out a contract if you move before the term is done. Be sure to check with your service providers to see if you can take the service with you and sign up for it in your new place or if you have to pay them out. Some things can be taken with you and some can’t, and some contracts can be assumed by a buyer, but you’ll have to check to be sure. Sellers need lawyer, too. The cost of conveyancing (transferring the title from one person to another) is not as expensive for a seller, but they sill have to pay someone to do all the paperwork. This fee all depends on what the value of the home is and if there is any extra time the lawyer might have to spend on the transaction. Well you may think you’ve paid for everything, after all is said and done, you’re still going to need to move your stuff. If you’re hiring someone to do that for you, it’ll cost you! Don’t forget to budget for the movers to come and get your stuff out and off to a new place. There are always costs associated with any big event in life, and selling a home is no different. Set aside a little money for these costs if you can, and you’ll feel better about the whole process. There are of course other costs that are optional, but could help you out – like staging your place or a professional cleaner or landscaping crew. If you think you’ll need anything extra special done, be sure to check it out in advance and weigh the benefits against the costs. I definitely think that owning a home is definitely an investment. Like other investments, there are potential ups and downs, but it is worth it in the long run. While getting a title insurance may satisfy the banks’ requirement and also give the buyer some sense of security when purchasing a home, it is a reactionary action – meaning the insurance company would cover the cost of correcting a wrong in case something is discovered later on after the sale is final. A real property report offers a proactive measure to ensure that what you are buying / selling conforms with current bylaws and removes the fear from the minds of the stakeholders because issues are discovered at the early stages of the sale and gives everybody the chance to correct them before perfecting the sale. Please visit our site http://www.qgeo.ca/real-property-report.html if you want to learn more.